PUBG Mobile is rolling out 0.12.0 update to all players next week, bringing major improvements to the zombie mode. Check out complete changelog here. PUBG Mobile Season 4 release date confirmed: What's new? PUBG Mobile continues to entertain players with its regular updates, which make the game exciting and engaging. After the recent update that introduced the much-awaited zombie mode, PUBG Mobile is now bringing new features that will make the most exciting crossover event further challenging. PUBG Mobile announced on Thursday that it will be rolling out its latest update v0.12.0 for both iOS and Android versions next week. PUBG Mobile 0.12.0 update was first released as beta late last month, giving players a chance to check out new features in their unstable form. Now, PUBG Mobile is rolling out the stable version after successful beta testing, which will bring the new features to the masses. In our review of the "Zombie: Survive Till Dawn," we noted that the gameplay is intense, challenging and scary. But it has also been the best crossover event in PUBG Mobile's history so far. With the new update, players will be treated with amplified horror in the "Survive Till Dawn 2.0" and "Darkest Night" mode. Here are the four major upgrades players can expect in the next week's PUBG Mobile 0.12.0 update. 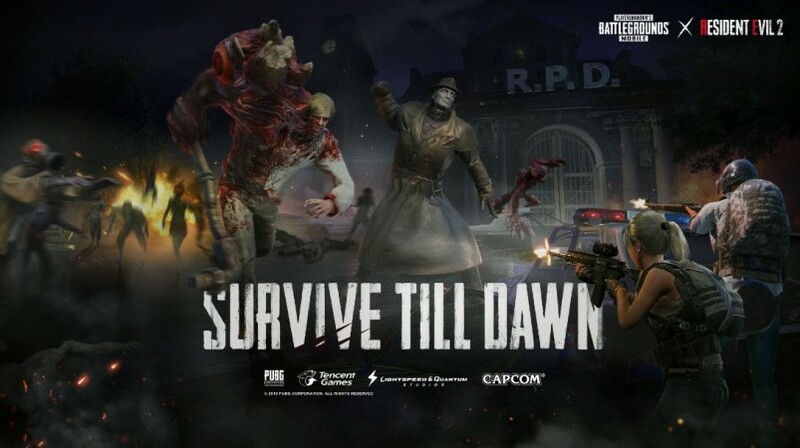 PUBG Mobile and Resident Evil 2 crossover event, Zombie: Survive Till Dawn, clearly garnered a lot of affection and praise. Seeing the popularity of this new event, developers decided to make the zombie mode intense, as if it wasn't already. In the latest update, PUBG Mobile's critically-acclaimed zombie mode will get new gruesome ghouls in addition to the existing undead monsters and ballistic weaponry to make the gameplay even. The name of the new mode, Darkest Night, already strikes a sense of fear. In this mode, players can team up or drop in solo, an option which wasn't available in zombie mode until now. Players will have to survive the zombie invasion and toxic gas until evacuation. Are you not up for an endless shooting spree? You can still be a part of the excitement by spectating the matches of your friends, crew and clan members with the introduction of new Spectator Mode. Not all players are looking for an 8x scope mounted on Kar98, some are content with a Red Dot or even holographic sight on an assault rifle. The latest update brings some good news for those who prefer red dot, holographic, 2x and 3x scopes as they can be adjusted to different colours and multiple shape variations.